Mr Lim's the best I've seen so far for Foot Reflexology. 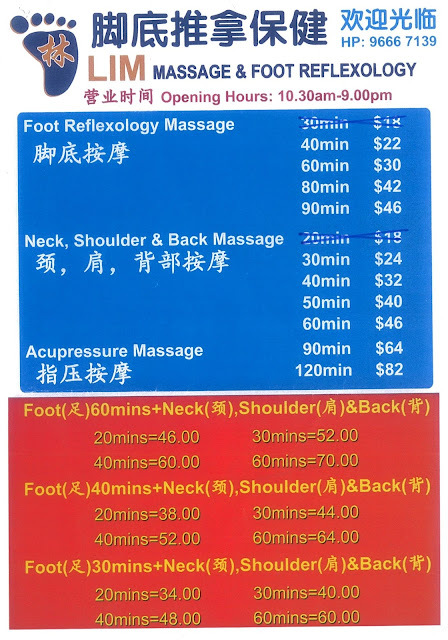 I have very sensitive feet and prone to pain when massaging. Even after telling most of them to be gentle, they forget. He does it gently and although there's still pain, it seem to have a purpose.